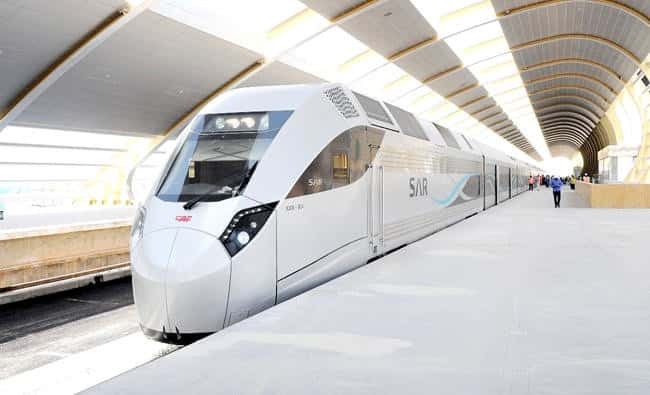 - The company said they will increase the number of trains in the future in order to meet the needs and requirements of the residents of the Saudi Arabia. - The other two projects include a 1100 Km train tracks between the eastern and western regions of Saudi Arabia and a Haramain train which has been started recently from Makkah to Madina via Jeddah and Rabigh. - With the launching of new train, passengers will now have several time options to travel between Riyadh, Al Qassim, Hail and Al Jouf.